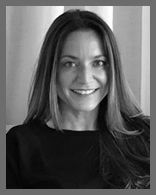 Listing Manager and Senior Sales Consultant with The Dora Puig Team at Luxe Living Realty, Katie Lillis has established herself as an industry leader in Miami and the Beaches with more than 17 years of experience working alongside Dora Puig, the No. 6 ranked broker in the country and No. 1 ranked broker in Florida and Miami-Dade County ranked by the Wall Street Journal. She is an integral team leader who manages the impressive portfolio of listings for the Dora Puig Team. Lillis is responsible for handling luxury listings across all touchpoints from inception through closing including preparing and pitching listing presentations, client servicing, contract management, scheduling and deal document trafficking. She also oversees strategic marketing including weekly e-campaigns, direct mail production & distribution, print advertising, special event planning & open houses and overseeing media relations. Lillis began her career in luxury real estate sales and marketing in development as the Marketing Coordinator and Sales Consultant for The Residences at The Bath Club under Puig’s leadership. There, she utilized her marketing background, organizing pre-construction advertising and events while sharpening sales skills in her 4 years on the project. Deeply knowledgeable about the Miami Beach market, Lillis has also worked as Sales Associate at Astor Home Condo Hotel in South Beach and Aqua Allison Island, closing out the latter project with over $50 million in sales of waterfront townhomes and luxury condominium units. Lillis has cemented her expertise in the sectors of ultra-luxury high-end waterfront condominiums and single family homes assisting on a string of record breaking deals with The Dora Puig Team at Luxe Living Realty. Lillis’ combination of skill, dedication, expertise and energy has earned her the reputation as a consummate professional and a knowledgeable realtor that gets the deal done efficiently and quickly. She operates out of The Dora Puig Team satellite office and Property Lounge located in the trendy South of Fifth neighborhood of South Beach. Lillis graduated with a BS/BA in Marketing from the University of Missouri. A Kansas City, Missouri native, Lillis is a long time Miami Beach resident who enjoys live music and sporting events, running on beautiful South Beach and is involved in the Big Brothers Big Sisters organization in Miami.